Just because your body is growing and your belly is expanding at a dramatic rate during pregnancy, doesn't mean your sense of fashion has to suffer! It also doesn't mean that you need to go out and buy a completely new wardrobe. 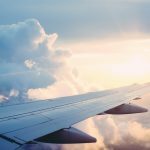 Instead, consider investing in a few key maternity fashion essentials to get you through those 40 weeks in comfort and style. 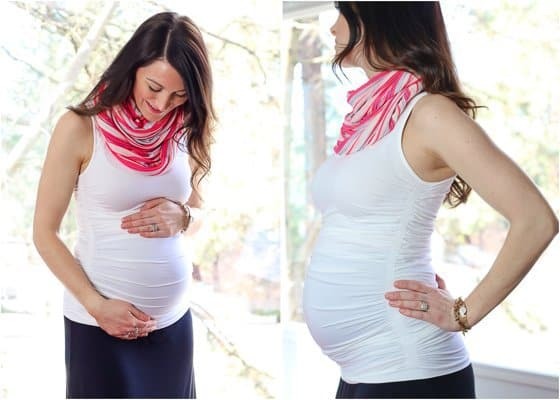 Here are a few of our favorite versatile pieces that should be in every pregnant momma's wardrobe. Love these pieces by Ingrid & Isabel? 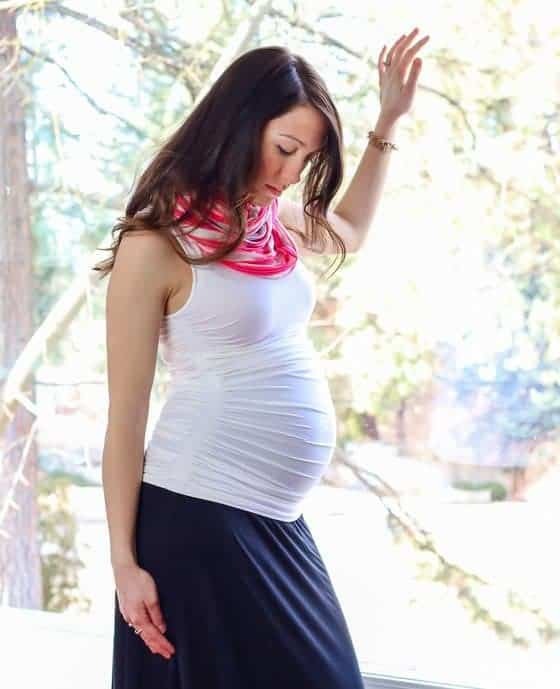 A maxi skirt can become your best friend during pregnancy. Basically, it's as comfortable as wearing your husband's sweatpants all day while making you appear put-together and even a little bit dressed up. 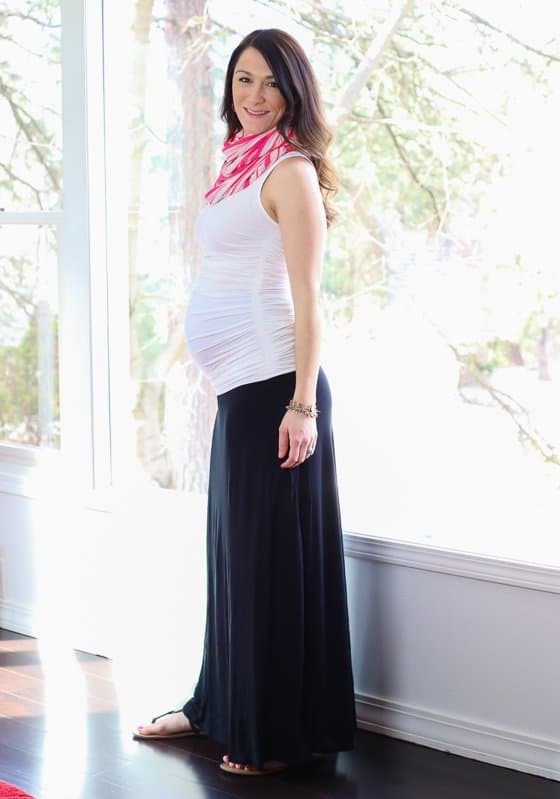 The Black Flowy Maxi Skirt from Ingrid & Isabel is the epitome of maternity comfort and style. This skirt is designed to fit you from the start of your pregnancy all the way through week 40, with Ingrid & Isabel's signature Bellaband stretch waist. This waistband can be pulled up over your belly for comfort and support, or folded down underneath. The skirt is made up of two layers of the softest, thin fabric for comfort that you won't even want to remove at the end of the day. What we love most about this skirt is the versatility! Pair it with a tank top and scarf, a grungy t-shirt, or dress it up with a nice blouse and some sparkly jewelry. A simple maternity tank top in a classic color like white or black is a pregnancy fashion staple! Skip the cheap cotton shirts you can find at your nearby big box store and invest in one that will grow with your expanding waistline. We can't get enough of Ingrid & Isabel's sumptuously soft Ruched Tank. This tank is designed with heavy pleating along each side to accentuate your growing belly or camouflage your postpartum bulge. Designed extra long, it will cover your belly all 40 weeks. A simple tank top like this one is a versatile staple in your maternity wardrobe. Layer it under sweaters or a blouse for extra support and comfort or wear it by itself dressed up with a scarf or fun necklace. Ahhhh, the little black dress. A stereotypical staple item in every woman's closet. Not only is black the most figure-friendly color, but a black dress can take you from the office to a wedding to a night out on the town. Ingrid & Isabel's Pleated Tank Dress in black captures comfort, style, and versatility in one perfect closet staple. 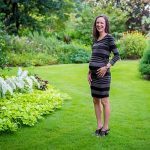 Made from the softest, stretchy micromodal fabric that doesn't easily wrinkle, this dress features wide side pleating to flatter your growing bump from start to finish. We love that this dress is perfect with flats and a blazer at the office or dressed up with heals and a chunky statement necklace for a date night out. And in all honesty, it's so comfortable you may just be tempted to sleep in it! The Ponte Skinny Pant by Ingrid & Isabel combines the comfort of your favorite pair of stretchy leggings with the thickness and style of skinny pants. These are truly pants you could live in every day of your pregnancy. Featuring Ingrid & Isabel's signature Bellaband that can be pulled up high over your growing belly for support and comfort, or folded underneath for more breathability, you won't want to stop wearing these pants once baby is in your arms! We like to wear the ponte skinny pants with Ingrid & Isabel's ruched tank for a classic combo that can be dressed up for work with a colorful blazer or dressed down with a jean jacket. These pants can also be worn as leggings under a long tunic or dress. Definitely a classic wardrobe piece to get you through your pregnancy in style (and comfort). If you want to get the most out of your pre-pregnancy jeans and pants, Ingrid & Isabel's Bellaband is a must-have item. This small, stretchy tube of fabric is designed to hold up unbuttoned waistbands or maternity wear that you are still growing into. It features a silicone strip along the bottom edge to provide extra hold at the hip and an extra-long, seamless construction for comfort underneath any top. 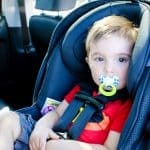 It is also a great piece to help smooth everything out! 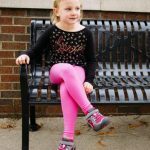 The Everyday Bellaband is available in five different colors or for an added touch you can purchase the Lace Bellaband in black or white with a delicate lace trim along the bottom. To see the Bellaband in action, watch this video on How to Wear the Bellaband. 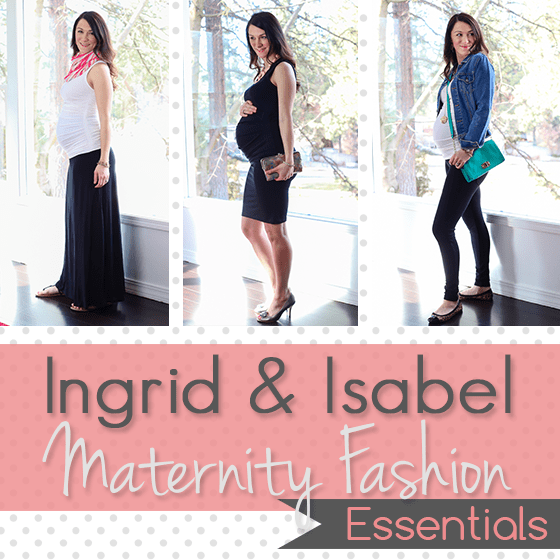 To discover more great maternity fashion brands, check out our Maternity Fashion Guide: Fall 2013.